Dates for 2019 workshops are listed below. 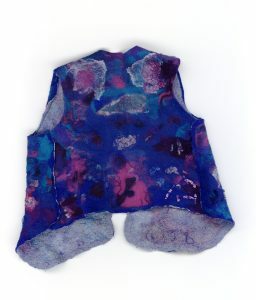 This workshop will teach you how to make flat felt and to experiment with surface decoration. You can use a variety of fibre: dyed and natural sheep fibre; plant fibre; other animal fibre; and silk fibre. All materials and equipment are provided. Please bring a packed lunch and I’ll supply refreshments throughout the day. Workshop cost per person is £70.00. 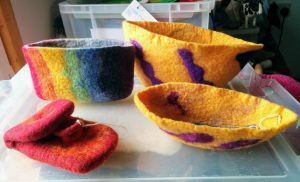 This workshop will teach you how to create bags, bowls or slippers without having to sew seams. All materials and equipment are provided. 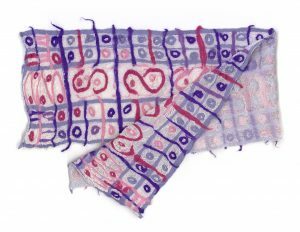 Nuno felting is a method of using fabric to support the fibre and it is possible to create beautiful effects – ruching of silk, voile or muslin fabric. Initially it seems the opposite of wet felting because at first you do not want to make felt, you need the fibres to penetrate the fabric. 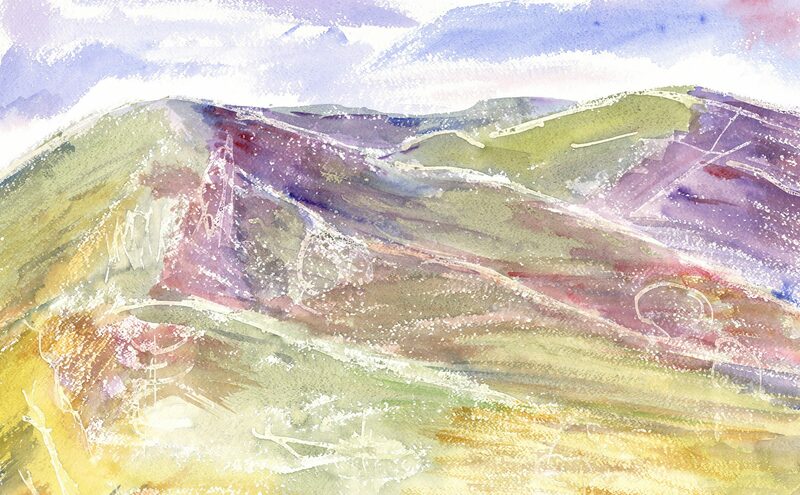 This part of the process is slow, whilst the final stage is very quick (you’ll be pleased to know!). Please contact me if you are interested in learning how to create Nuno felt. 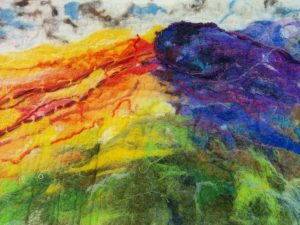 Workshop cost per person will be £70.00 and participants will need to bring suitable fabric to work on, which I can advise on. I will provide fibre, some fabric and other equipment.